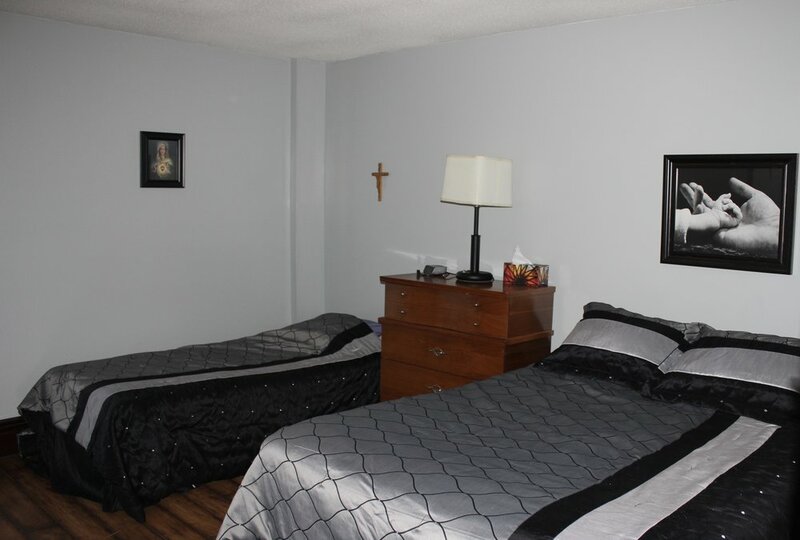 We are a full service Christian Retreat Centre that can take care of most of the logistical needs of a retreat. Below is a little information on our facility. Our guest rooms all have a Queen or Double bed. Many rooms also have either a single or a set of bunk beds. All guest rooms have a desk and sink. There are newly renovated, shared washrooms (one washroom to three guest rooms). We provide all bedding and linens. 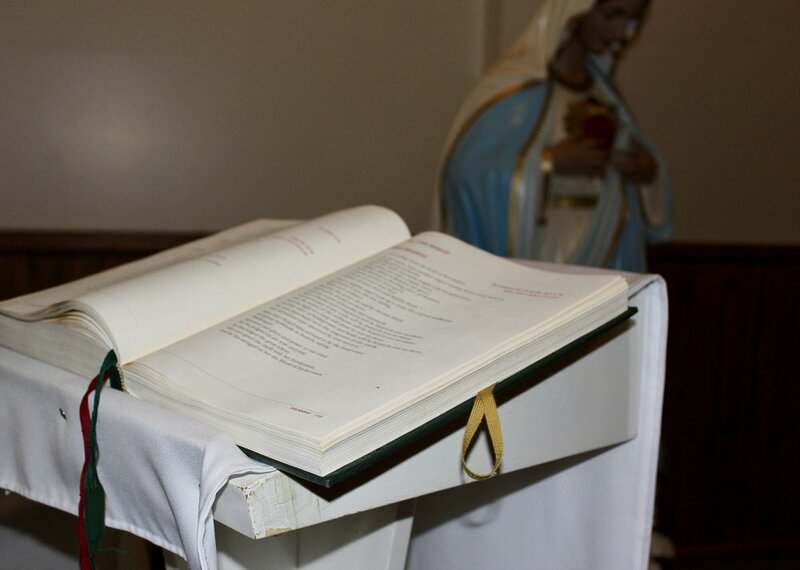 Our facility features a chapel which seats ~40 with Jesus present in the Blessed Sacrament. We also have a library, a cozy sitting room, and our great room, with a beautiful wood stove (which serves as a dinning hall and main conference room). The area immediately surrounding our property boasts a large variety of walking, hiking and horseback riding trails that you are free to enjoy.